We designed a web-based marketing campaign where the customer’s requirements could be broken down: parts or trucks, enabling a prompt response from the relevant department and ensuring a good quality of lead. The biggest market for Leyland Exports is in Africa, where 90% of the people in this industry will order products using a mobile phone. Leyland Exports had been running for 12 months obtaining few enquiries. We went back to basics by creating a strategy that targeted each country with keywords and ads that would engage with that demographic. It was discovered that 80% of enquiries came via mobile, so a mobile responsive website would improve things greatly. 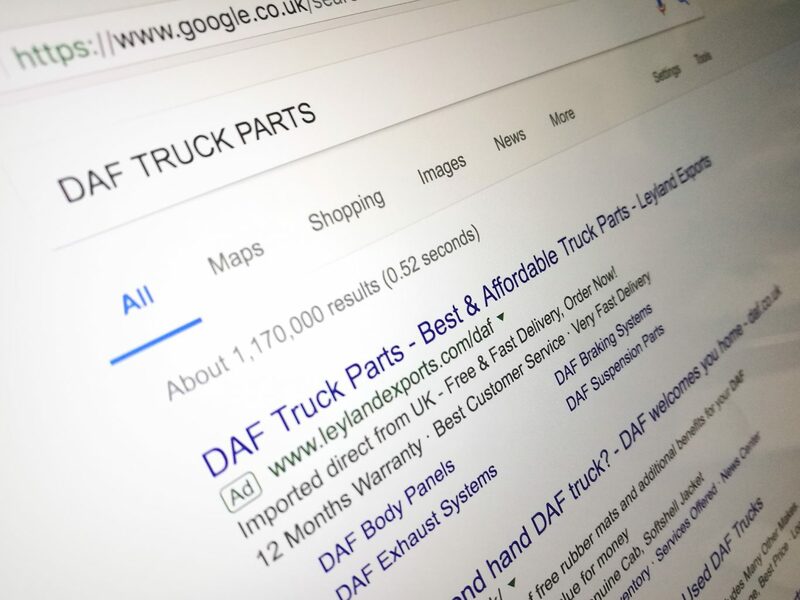 To complement the search campaign, a display campaign was created to target audiences that would possibly not consider searching for products supplied by Leyland Exports. The number of enquiries from Display was extremely high and the cost was about 30% of Seach Network enquiries. The problem was the quality of these enquiries was not as high. To counteract this quality the new website was created with a funnelling enquiry form, to ensure the user was truly engaged before enquiring. This improved the quality of the enquires massively. 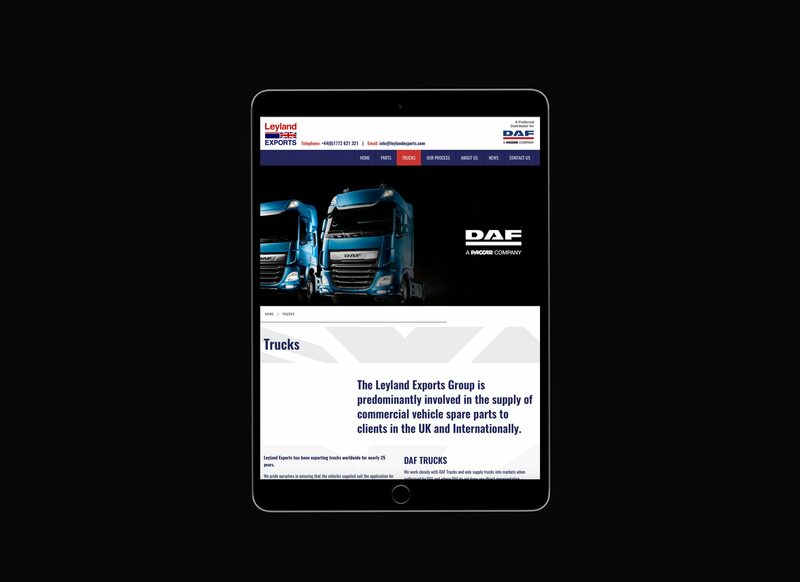 It was imperative that Leyland Exports had their website completely redesigned and developed to work seamlessly on mobile. 80% of enquiries were coming from mobile, which their original website didn’t support. We knew that getting this right, would greatly increase the level of enquiries that the team received on a daily basis. The design was based on capturing contacts so a simple, clean and to the point search element was put in place to enable this to happen. 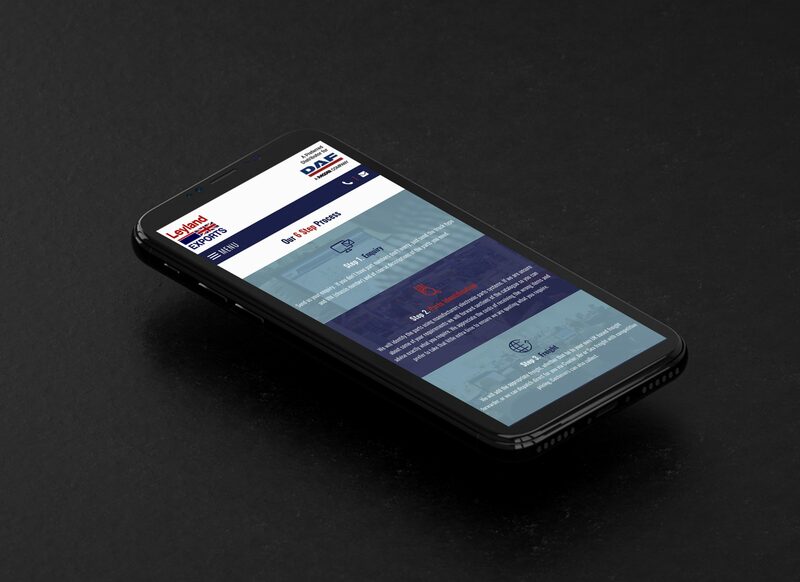 Supporting the new website is a full set of printed literature and monthly email campaigns to help drive the brand forwards and gain more enquiries for the team. 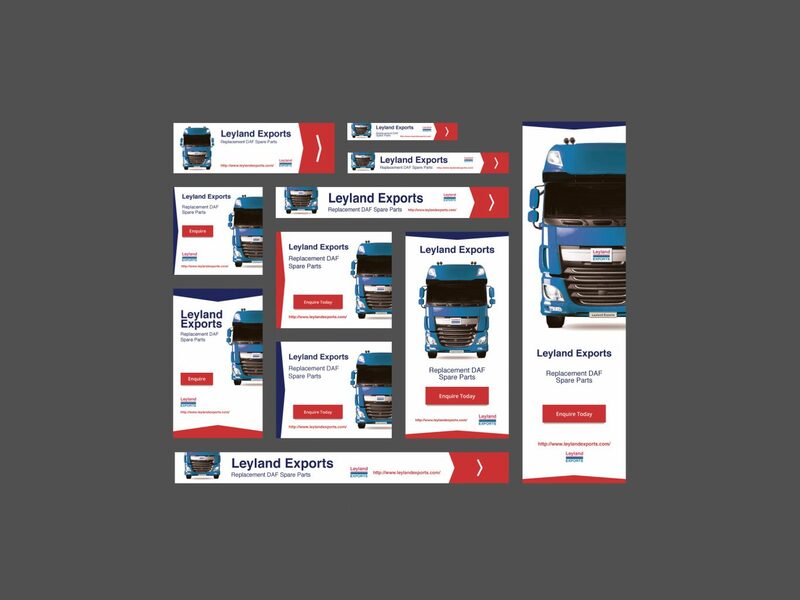 We work closely with the Leyland Exports team to ensure that all marketing campaigns are delivered on-time and to budget.